The demand for content online today is too intense. New websites being launched every day is the leading factor that has made SEO gain more traction among users. 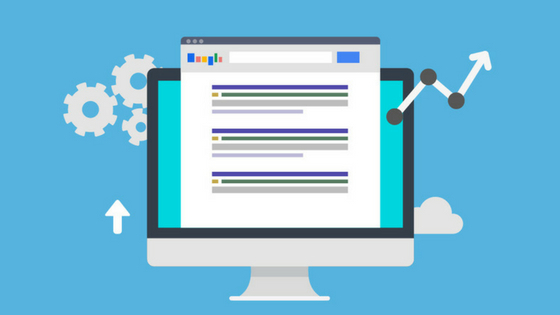 With the help of tools like the Serpbook, more websites stand a better chance at ranking high, even showing up in the first page of search engines. Perhaps the most common aspect of SEO, keyword research is the way to go when selecting the topics to feature on your blog. This research helps you to determine what words people are typing on search engines as queries to their problems, which points you towards what your audience wants to hear. We already explain How to insert SEO Keywords in An Article? in our previous post. Capitalize on the long-tail keywords, even use them as topics or subheadings under your main topics. Although it is recommended that you pick out a keyword tool like Google Keyword Planner or Moz Keyword Explorer, you can still find a topic on Google. Pick out a random category in your blog, type it on Google and see the suggestions that come forth. One of the many options should suit as a great topic for your next post. While this can be an unidentified resolution for your blog, seeking to provide a solution will cause you to ask questions. A great question to ask yourself is, “what are people asking for?”. Understanding what need is available to be solved and how you can be a solution will give you a pointer towards great topics to write on. If people want to know everything about SEO, then you can ask yourself what they do not know, then determine topics out of the needs. There are a couple of sites from which to gather questions people are seeking answers from, for example, FAQs from your website and that of your competitors, comment and feedback channels, Quora.com, among others. If a topic is trending, it means many people are talking about it. This means that more people are interested in finding out more on the topic. Pick out popular topics, those within your industry. While uniqueness is essential, writing about topics that people don’t care about will not bring you much traction or traffic thereof. Focus on what people actually want to know and subject matters that have made an impact. Use tools like Google Trends to gather as much as you can, as well as follow closely on hashtags on social media. The content you are seeking to create is for the sake of the audience no so much you. Your topics should be able to capture the attention of your audience so that your content can serve them the value they require. Sometimes your audience can come out clearly and tell you which topics they would like to get your opinion on. The kind of comments they drop you should also hint you on what they want you to write about next, which is why you need to encourage audience engagement. Find out what other content your audience is consuming apart from yours. The topics that have a higher readership should also hint you on what your audience enjoy reading. Isn’t it fascinating how much traction competitor analysis has gained today? More and more people are realizing that they do not have to do everything over from scratch when there are many who have gone ahead and succeeded. Competitor analysis will tip you on what you can do differently for your blog, but most importantly guide you on topics you should consider for your blog. Identify top 5 competitors with a higher following and stronger domain authority, then use those for analysis and research. Be sure to analyze their recent content as well as older posts and mine amazing ideas and newer approaches from which to structure our content. Take advantage of any loopholes and information gaps you notice creating versatile topics. Before you freak out about running low on what to write, have you tried out any of these? Combine all these strategies and in no timescale your blog content to the top.